Northern Ireland quartet The Answer have been releasing albums for a decade now. From their debut Rise album they made a firm mark on the UK's rock scene, opening for the likes of Aerosmith and The Who, as well as gaining a special guest slot on AC/DC's 2008/9 Black Ice world tour. Two great albums in the form of Everyday Demons and Revival followed, but in recent times The Answer's story has stalled somewhat. Their past two efforts, 2013's New Horizon and last year's Raise A Little Hell, whilst solid rock n roll albums, were missing a certain something. Both albums felt almost like the band were trying too hard, ticking all the boxes on paper, yet missing that certain spark and personality that made their earlier efforts so good. Enter Solas. From the moment the swirling atmospheric intro fades in, it's clear this is not just another Answer album. James Heatley's steady beat behind the sparse guitars and dirty bass really drive home the otherworldly vibe. Most startling though is Cormac Neeson's vocals. We're used, by now, to hearing his banshee wail to kick things into overdrive from the get go, yet here he opts for a low growl, perfectly completing the picture. The chorus is a celtic gospel chant of the album's title track, the reverb drenched harmony really driving the new approach home. This feel continues straight into the haunting Beautiful World, but the boys from County Down don't pussyfoot around for too long, the distorted guitars and a despairing wail from Neeson showing around the 1 minute 40 mark that they can still raise the volume when they need to, even if the ultimate effect is something entirely new. The acapella final line delivering the sort of spine tingling chills the band first did on the likes of No Questions Asked from their debut. Not that it's all bleak atmospheric fare. Belfast's Streetwise Samba Band add their celtic shuffle to the upbeat Battle Cry. Left Me Standing shows the band haven't forgotten how to write a catchy rock tune during their evolution, and Demon Driven Man has absolutely all of the groove, as well as some tasty guitar licks courtesy of Paul Mahon. The six stringer in particular has never sounded better than he does here. Relieved of riff duties, for the most part, in favour of the overall melody of the songs, the freedom and space he's had to work within each tune's structure means that when his lead work does come to the fore, it's all the more prominent, and thus given even more impact. Nowhere is this more pronounced than on standout track Being Begotten, a constantly building bluesy number with some just outstanding playing. It's clear throughout the album that the band have leaned heavily on their celtic roots. Thief of Light in particular could be an old Irish folk song, and there's just as much acoustic guitar and mandolin throughout the album as there is wailing Les Paul. 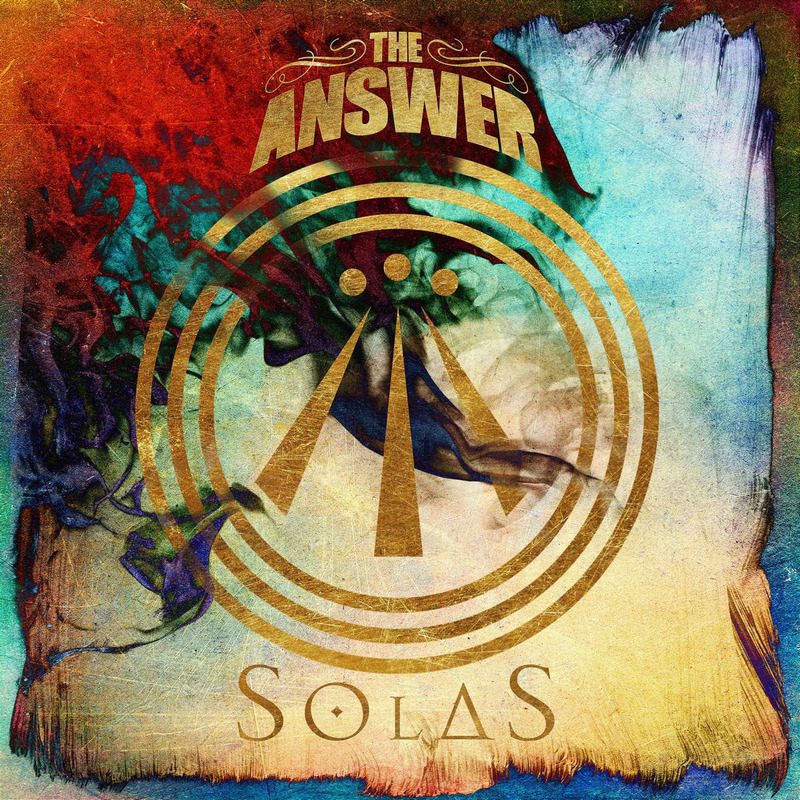 Ultimately Solas feels like an album The Answer wanted to make, rather than one they thought they should. It is simultaneously nothing like the band have made before, yet the truest Answer album to date. A sterling return to form.